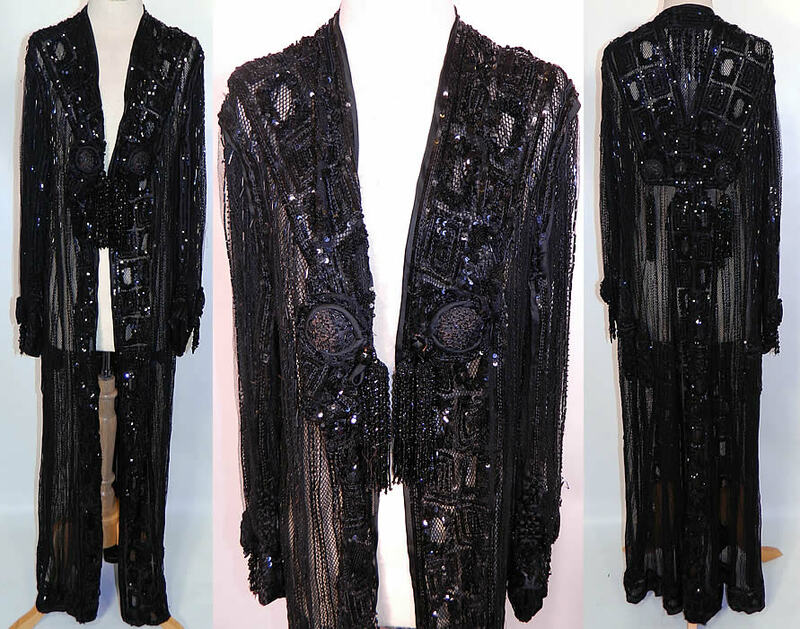 This amazing antique Edwardian Titanic era black net jet beaded sequined long coat evening jacket dates from 1912. It is made of a layered sheer black net fabric completely covered with black sequins and jet beadwork done in a geometric pattern design. 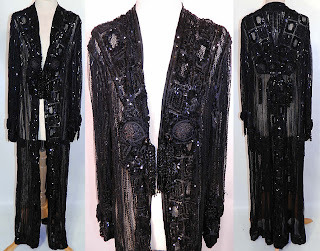 This elegant exquisite evening coat is a long floor length, with long full sleeves, black jet beaded button trim, fringed tassel trim hanging down the front, back and sleeve cuffs. 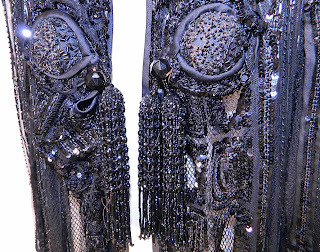 It is sheer unlined, with layers of black net fabric and a single button loop toggle closure on the front. It is quite heavy and quality made with wonderful workmanship and detail. 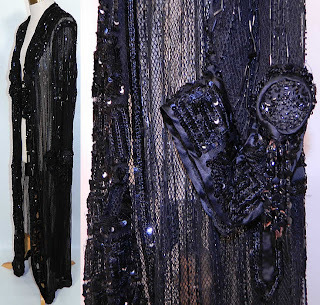 The coat measures 52 inches long, with 48 inch hips a 44 inch waist, 40 bust, 15 inch back and 20 inch long sleeves. It is in good condition, with a few loose, missing beads and some fraying along the fine beaded net sleeve (see close-up). This is truly a rare and exceptional piece of wearable beaded art! This is a bit later than 1912 - probably WWI.